●Lasting color: Synthetic resin tile surface materials are made of imported ultra-high weather resistance engineering resin produced. With exceptional durability in the natural environment, even if it is long-term exposure to ultraviolet radiation in harsh conditions, wet, hot, cold, and still maintain the stability of its color. ●Excellent resistance load: a good carrying capacity. In the lower temperature region , even if the roof perennial snow, it does not produce surface damage and breakage. 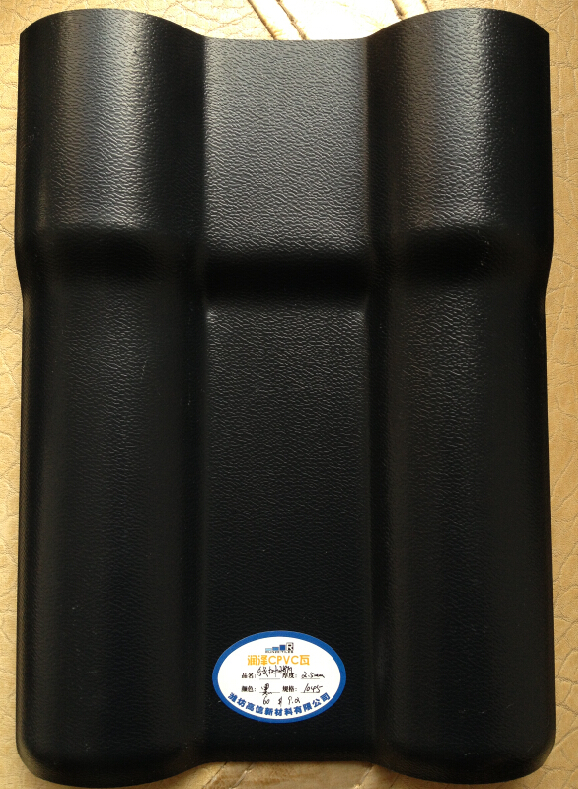 After testing, the support from the case of 660mm, the load 150kg, tile does not produce cracks and damage. ●Sound effect: The experiment proved: when subjected to external noise storms, high winds , synthetic resin tile has good noise absorption effect. ●Impact resistance, good low temperature resistance: a strong outer affordability. The test 1kg steel ball falls from 3m high free no cracks, impact resistance at low temperatures is also very significant. ●Excellent corrosion resistance: can long resist acid, alkali, salt and other corrosive chemicals. Experimental results show: soak for 24 hours without a chemical reaction in salt, alkali and 60% following the acid. Very suitable for acid rain -prone areas and coastal areas, the effect is particularly significant . ●Insulation performance: thermal conductivity 0.325w/mk, clay tile is about 1/ 310 , cement tile 1/5, 0.5mm thick steel tile 1/200. Therefore, under no circumstances consider adding insulation , thermal insulation properties can still achieve the best. ●Excellent self- cleaning properties: dense surface is smooth, with the "lotus effect" itself is not easy to absorb dust, once the rain washed clean as new , tile surface dirt will not appear mottled phenomenon after being washed rain. ●Stable volume: tile expansion coefficient of the synthetic resin 4.9 × 10mm/mm / ℃, while a two-way tile geometry on tensile properties, even large temperature changes, can also be telescopic tile itself digested to ensure geometric dimensionally stable . ●Excellent waterproof performance: Synthetic resin tile chosen high weather resistant resin itself is compact and does not absorb water, there is no problem of water seepage product pore width W of 45% compared to traditional tile roof joints less so than traditional waterproof performance greatly. improved. ●Excellent insulation properties: Synthetic resin tile insulation products, has encountered an unexpected discharge also intact. ●Fire resistance: the case of flame retardant materials. ● Installation is quick: the effective width of the effective width of 800mm and 960mm, high efficiency pavement; light weight, easy handling; installation accessories complete. Design refer to "flat roof to pitched roof building construction" 03J203 standard atlas. Looking for ideal GREEN BUILDING MATERIALS FOR ROOF Manufacturer & supplier ? We have a wide selection at great prices to help you get creative. All the SYNTHETIC ROOFING SHEET are quality guaranteed. 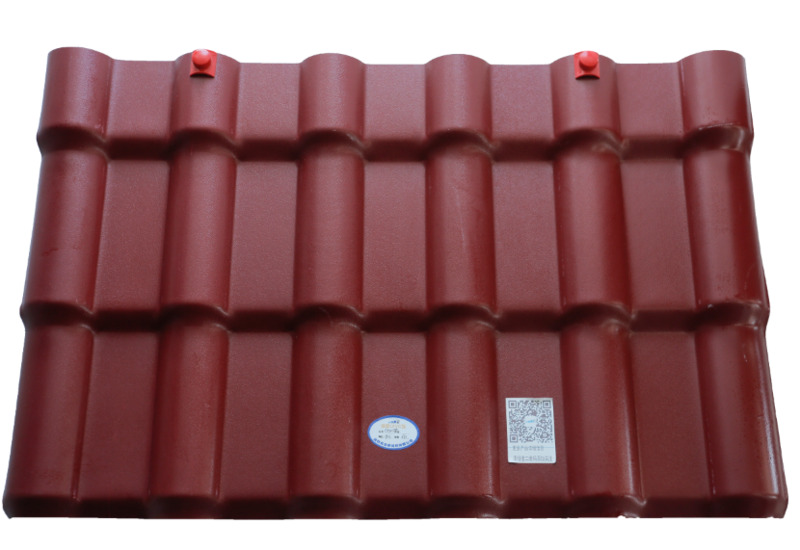 We are China Origin Factory of ANTI WEATHERING PLASTIC ROOF TILE. If you have any question, please feel free to contact us.